Standard & Bunk Bed Rooms: $75/night, Master Ensuite: $99/night, Entire House: $225/night. Prices are per room and includes self-catered breakfast. Located right in the Heart of North Bay, close to Waterfront activities and Downtown shopping & entertainment. 10 min walk to Memorial Gardens. 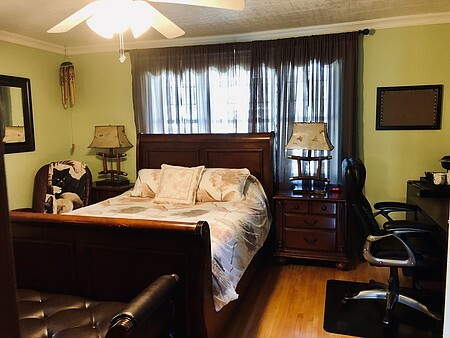 Very Clean & Comfortable place to stay for Business Travelers, Tourists, Shoppers, College/University events, Hospital visits, Family reunion, etc. Children and Pets welcome! Playpen, baby gate, and car seat available. Seating areas inside and out. Area outside available for smokers. HOT TUB, now with radiant heat lamp! 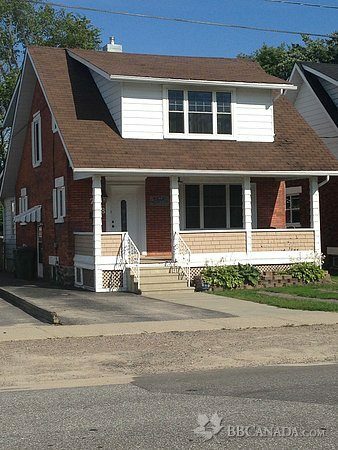 Amenities: FibreOP Wireless internet, Wireless Printer, TV & DVD Player in all bedrooms with FibreOP TV/Netflix/CraveTV, Cordless phones, Water Pik shower head, fully equipped kitchen, fenced-in yard, NEW BBQ, and much more! DISCOUNTS: 50%/monthly, 25%/weekly, 10% for returning customers, students, seniors over 65, and Military members. Long & Short term fares available. NEW Master Ensuite now available! NEW Mountain bicycles now available for guests! NEW Laundry facility on main floor. Check In/Check Out : Check-In is Flexible and Check-Out is 12:00 (noon). Alternate timing may be arranged. Self check-in with door code will be provided 48 hours prior to arrival. Cancellation : 100% refund for cancellations with 24 hours notice. Non-refundable $50 deposit with less than 24 hours notice. Approved pets subject to a $25 cleaning fee. Cleaning fee will apply when booking the entire B&B. Seasonal Information : Open year round for all your needed business in North Bay! IMPORTANT NOTICE: Owner has a zero policy on drug use of any kind, including cannabis, within the premises and smoking in the house. Failure to comply may result in automatic eviction & no refund.